When you are charged with a violent crime in Nevada, you may feel that you have nowhere to turn. The charges you face are serious, no doubt about it, but that doesn’t mean that you have to give up hope. 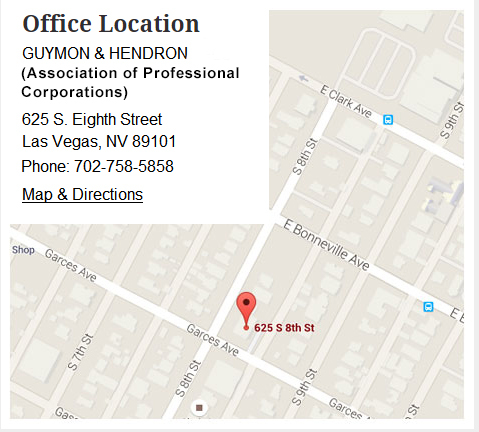 At Guymon & Hendron, we help people in Nevada who have been charged with felonies, including violent crimes. Our lawyers have worked on thousands of cases as both prosecutors and defense attorneys, so we are well-equipped to handle even the most serious cases on behalf of our clients. Capital punishment is legal in Nevada, meaning that people convicted of the most serious crimes could receive the death penalty. This means that, quite literally, you could be on trial for your life. We are seasoned courtroom attorneys. In fact, we are in court practically every day on behalf of our clients in some capacity or another. With our litigation skills being honed all the time, we are ready and able to take on even the toughest cases for our clients.